FGen Solutions was started in 2010 by our family. Our goal was to teach our children web based computer concepts. Together we went through the entire process of building a website and created our first one: stephencalebfoster.com. Our first official website was created when a friend asked us to create a website for his business. Since then we have successfully created and maintained over 20 websites. Stephen holds a bachelors degree in Computer Engineering from Mississippi State University. He has worked in IT for over 20 years at his alma mater. He meets with the clients, assesses their needs and manages the project. He designs and styles most of the website. Joeann is our administrative assistant. She helps edit the websites, contacts clients, and does all the proofing. 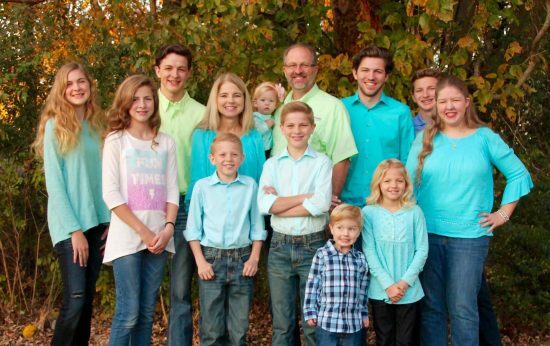 Joeann is mom to 10 children with one on the way! Caleb is a National Merit Scholar, pursuing a degree in Mechanical Engineering, at Mississippi State University. Being an excellent writer, he helps the customers with their content. For clients who do not want to write their content, he will analyze their business and write it for them. He interviews them to get all of the information needed. He also keeps the websites updated with changes the client requests. Jackie is our accountant. She is the grandmother, mentor, teacher, candy maker of 10 grandchildren. Micah is the photographer. He has had an interest in photography for several years and loves to take photos. He learns all he can from professional photographers every chance he gets. He sets up appointments with clients to get onsite pictures for their website. Noelle and Abigail are our artists. They help with ideas for logos and graphics. They critique all of Dad’s styling.